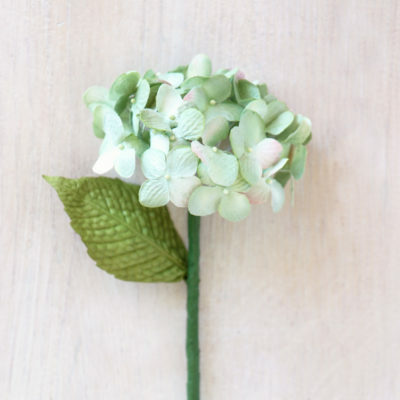 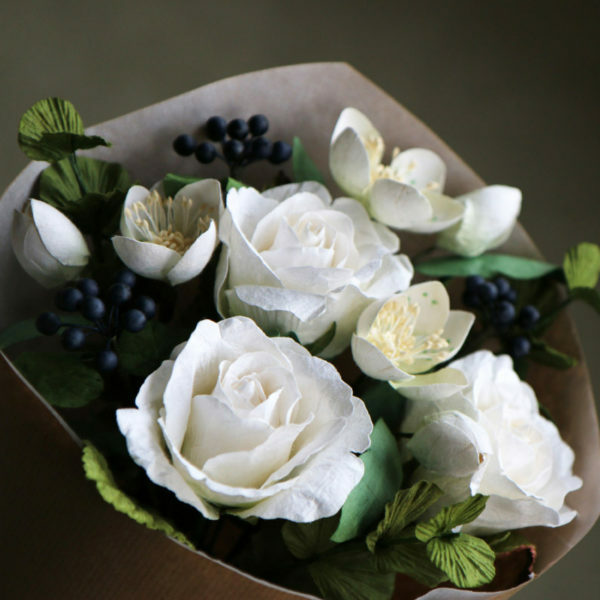 Beautiful paper flower bouquet, hand crafted from eco-friendly paper. 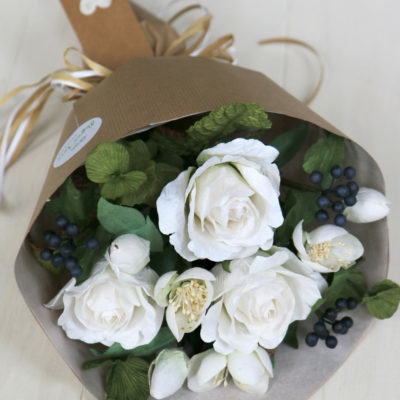 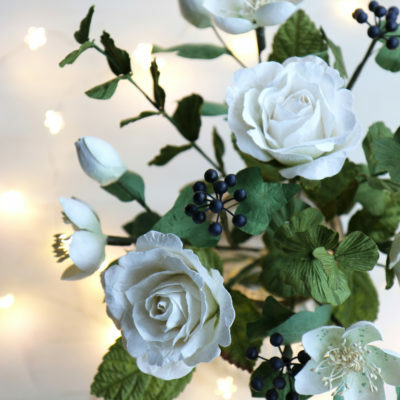 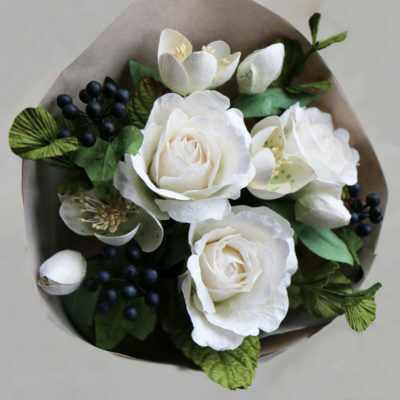 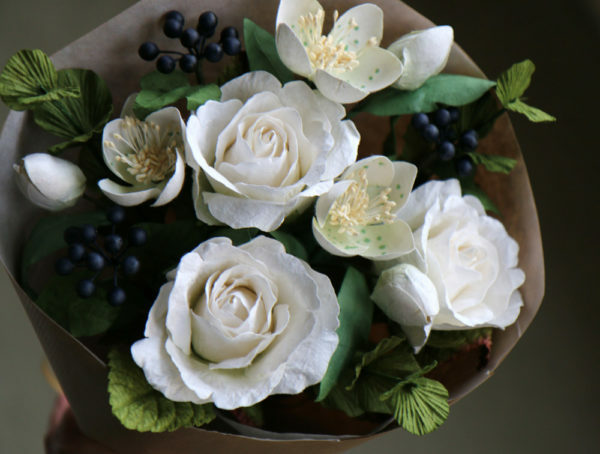 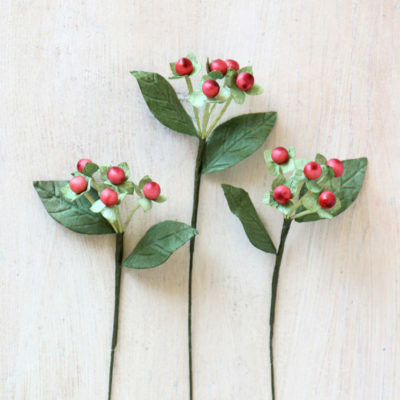 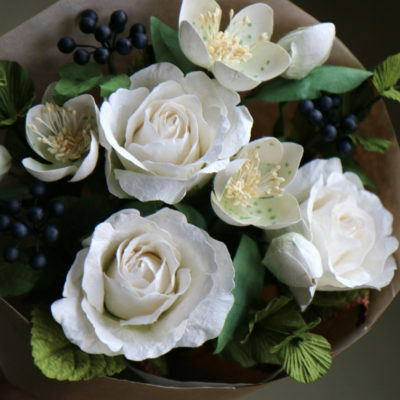 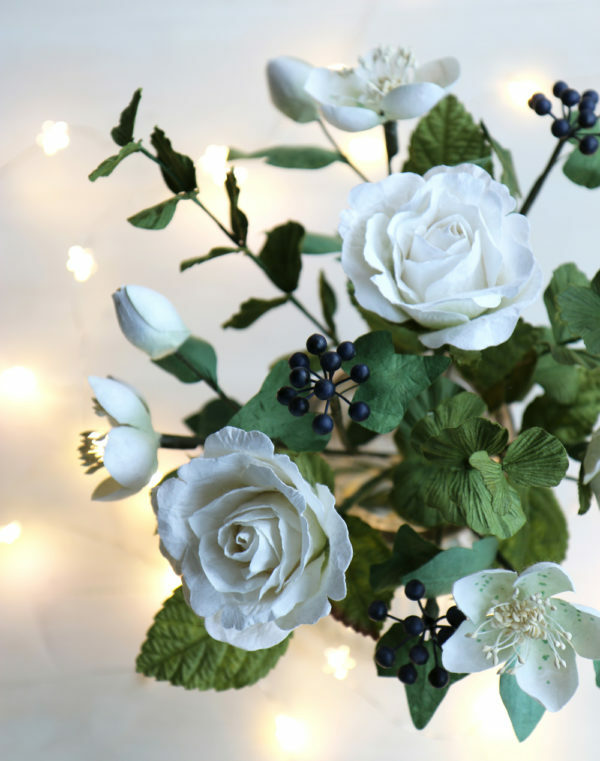 A stunning Winter decoration or Christmas gift with paper Roses, Hellebore (Christmas Rose), Eucalyptus & Ivy Berry. 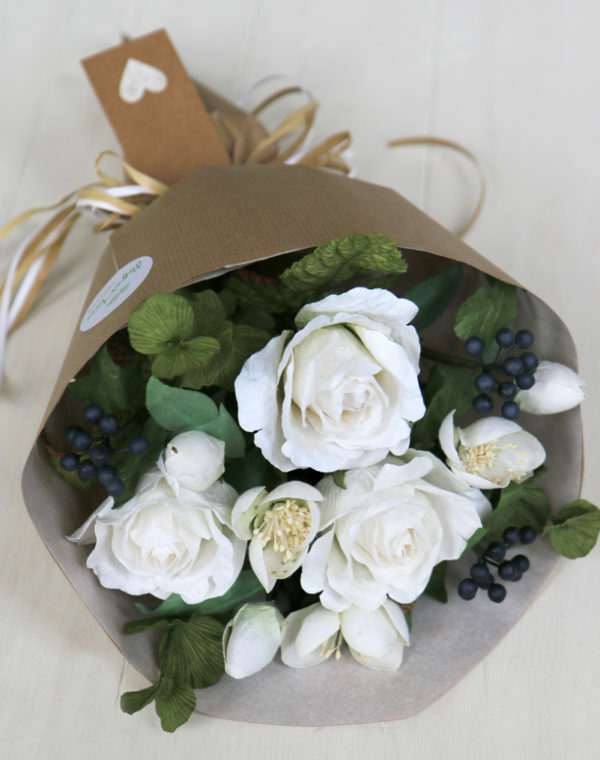 Presented wrapped in brown paper with paper ribbon and a blank gift tag with heart decoration. 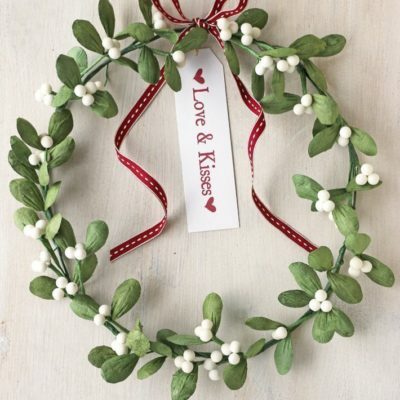 The tag can be personalised with your own message (£1 extra). Beautifully made and very intricate – Really nicely packaged – Dispatched very quickly.